What took us so long to get to Raleigh, NC? No words. But we sure are happy to be here. To start, our own Brooklyn based North Carolina artist Margaret Bowland has the opening of her latest exhibition at CAM Raleigh on April 6. CAM Raleigh is a contemporary art museum providing a multitude of programs and exhibitions of works by living artists. It has to be at the top of the list anytime you visit Raleigh. Then we have North Carolina Museum of Art, the NCMA, an institution with a long history and a rich permanent art collection. Everyone will find something they’ll love at NCMA. Films, Films, Films from March to May. You Are Here, the light, color, and sound experiences exhibition opens with an all-nighter on April 7th. The 164-acre Museum Park. Summer concert series and more at NCMA. Never a dull moment in Raleigh. Gallery C is another cool Raleigh art venue to visit. Its current exhibition titled, The Best of North Carolina 2018 is open until May 15th. Gallery owner and art historian Charlene Newsom curates an exquisite collection of landmark pieces by important North Carolina artists. This year’s show will feature art from the 19th and 20th Century. It's a must to stop by IMURJ as the options of entertainment, learning, and fun are endless there. Create, perform, engage with a drink in hand or just a big ole’ smile or pensive mood for that matter. 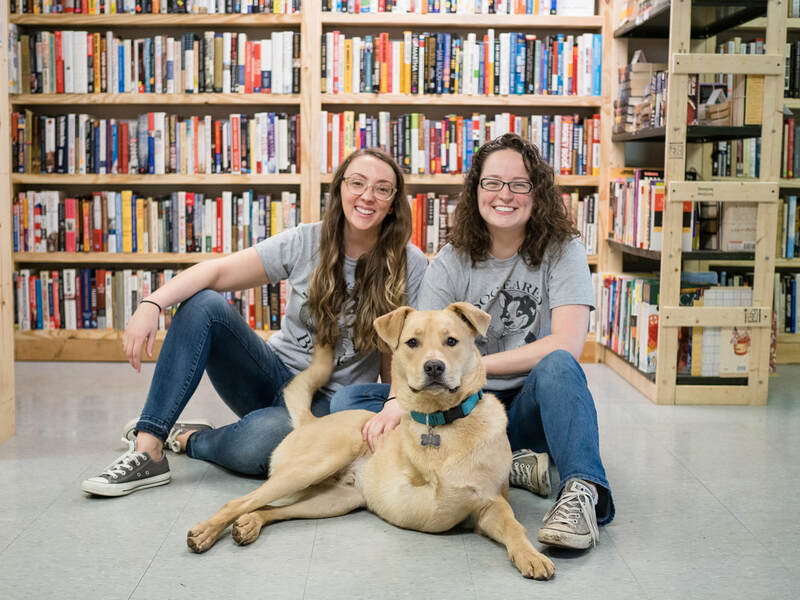 At the same time, don't forget to check out the book stores that enrichen many Raleigh neighborhoods. We have our own favorite, Dog-Eared Books. There are so many treasures to be found and so many cool events to be attended at this cool treasure spot. It’s more than an awesome place of knowledge especially because its people show so much good will and do many good deeds in their community. Inspiring. Who do you bring along on your trip to Raleigh? A friend. A lover. A family member. Your pick. But make sure to connect with the locals. They have the best tips and secrets to help you have a memorable experience. We got to know Erin Rolandelli, a food lover and passionate advocate of all things Raleigh-Durham. She told us about Art in Bloom at the NCMA museum and the Brewgaloo festival where artists, NC brewmasters and food trucks will have delicious offerings for all palates. ​CAM Raleigh is the non-collecting contemporary art museum that provides an environment for transformation through educational programs, cultural experiences, and bold, non-traditional exhibitions by living artists. We have a major exhibition opening on April 6th of Brooklyn based North Carolina artist Margaret Bowland. This collection includes fourteen paintings by this contemporary figurative artist in her first ever museum exhibition in her home state of North Carolina. We also have three recently opened exhibits that run through June 10th. The North Carolina Museum of Art’s history begins in 1924, when the North Carolina State Art Society was formed. 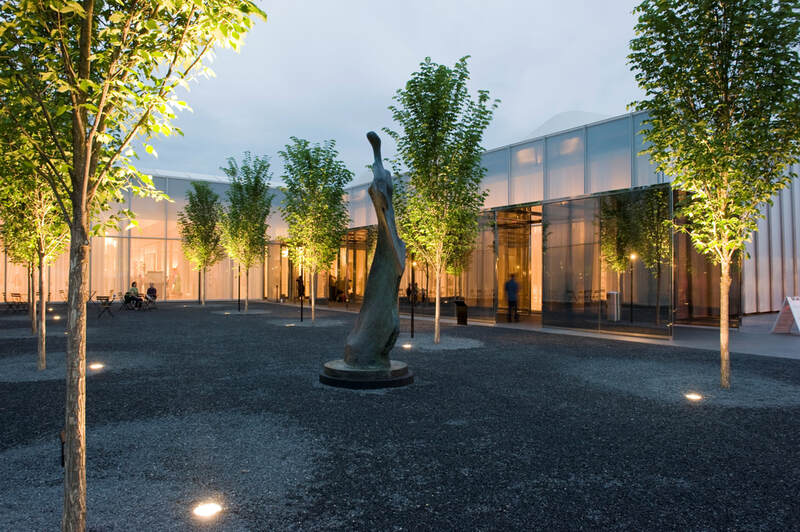 Its permanent collection spans more than 5,000 years, from ancient Egypt to the present, making the institution one of the premier art museums in the South. The Museum’s collection provides educational, aesthetic, intellectual, and cultural experiences for the citizens of North Carolina and beyond. Its park of 164-acre showcases the connection between art and nature through site-specific works of environmental art. NCMA offers changing national touring exhibitions, classes, lectures, family activities, films, and concerts. Imurj is a collaborative space for local artists and musicians, so we let the community define us. We are 6,000 square feet with an art gallery, recording studio, full stage and bar. Here is a link to our calendar of events, we offer a wide range of programming to suit the needs of musicians, visual and performing artists, poets, comedians, jam sessions, drink and draws, meditation groups, and so on. 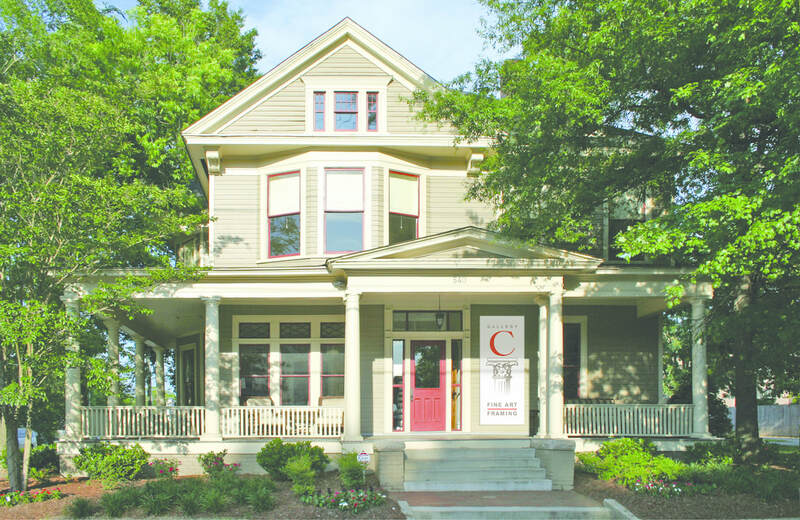 Since 1985, Gallery C has established itself as one of the Southeast’s leading fine art galleries in Raleigh, NC. We bring talented artists and fine art to the attention of serious private collectors and museums. ​We have a several exciting exhibitions planned for the next few weeks. Our much anticipated Best of North Carolina (BONC) exhibit was opened on March 21st. Gallery owner and art historian Charlene Newsom employs her broad knowledge of North Carolina art to curate an extensive collection. All of which are landmark pieces by important North Carolina artists. Some of the biggest names and best North Carolina art from the 19th and 20th Centuries are included in this year’s show. We are also participating in Raleigh’s Front Porch Art Walk (FPAW)! This ​is an annual public event and always hosted on the second Saturday of May each year, 10am – 5pm rain or shine. This year Gallery C will be hosting Watson Brown, a local North Carolina photographer. We work very closely with the community on a regular basis. 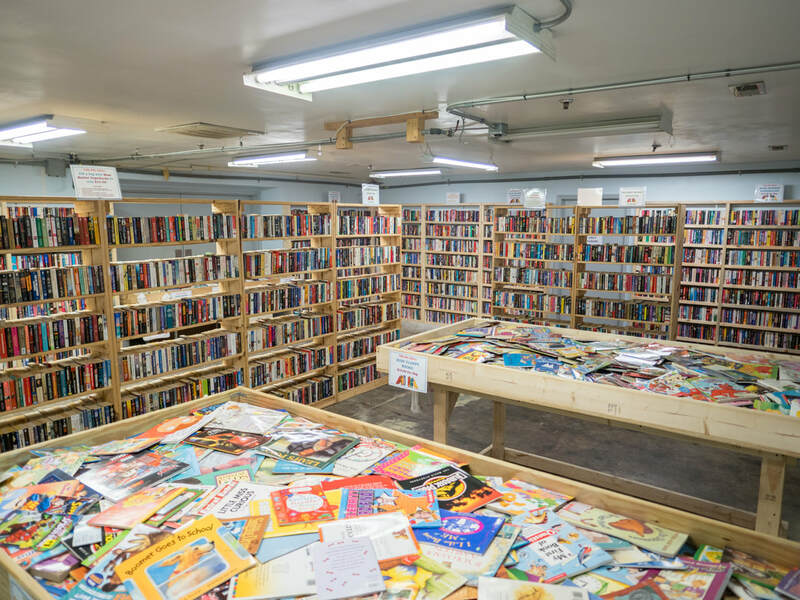 We donate books to children in need through the Methodist Home for Children and the Boys and Girls Clubs of America. We also partner with local schools to host Spirit Days in an effort to provide books for their students. Below is a list of events over the next couple of months. I started studying food and culture at UNC Chapel Hill with a class called Eats 101 - from there I was inspired and kept up with my culinary journal. Over the years, my friends would have me read my write ups and reviews to them as bed time stories. Last year, over Thanksgiving break my family encouraged me to find a way to publish it. So, I've combined my passions for Raleigh-Durham, food, and community and hope everyone can find gems they will love on my Instagram blog, @RDUGems. Raleigh is amazing because it is constantly changing, yet has retained it's southern neighborhood charm with historic homes lining historic downtown streets. In a couple weeks you will find me at Art in Bloom, a four-day festival that transforms art at the NCMA museum. Come April (and coincidentally my birthday weekend) my friends and thousands of Carolinians will be gathering for the Brewgaloo festival. The main streets between the NC Capital building and the Duke Energy Center shut down, artists get up on different stages, and NC brewmasters show off what they're good at. Over 100 breweries and 50 food trucks come out for it. Right now, my favorite spots to go to are Taverna Agora for pre-dinner drinks upstairs, Vidrio for small plates + dinner, and C. Grace any night of the week for fresh cocktails and live jazz 5 nights a week. If you ever get down to Raleigh and need a tour guide, reach out again!